At Monroe Road Animal Hospital, we strive to provide high quality veterinary care as well as a great customer service experience in a modern facility. Your pets comfort is a top priority for our staff. If your pet is in for an annual check-up, you can expect a complete hands on, head to tail physical exam. This includes examining your pet’s ears, mouth and eyes & checking heart and chest sounds for irregularities. If your pet is a new patient here, please make sure we receive any prior medical records so that we have a complete medical history. Regardless of the reason for your pets visit, we will be happy to provide you with an estimate for services upon request as well as options for your pet’s treatment plan. 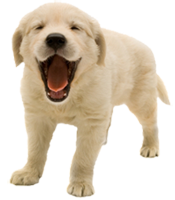 We work with various specialists in the area to provide your pet with complete care. We also have ultrasonography specialists as well as a veterinary acupuncture specialist who will meet you at our clinic to provide services. We know your time is important and often your schedule is tight. Therefore we are happy to take drop off patients at no additional charge. We will call you if additional information or permissions are needed and have your pet ready for you to pick up on your way home from work or running errands. -If your pet experiences anxiety when coming to the vet, please call us in advance to see if an oral sedative would be of benefit. -If you are bringing your pet in for a urinalysis, please try to discourage them from eliminating if possible. Pets tend to want to mark the area once they arrive at the vet so a gentle tug on the leash to keep them going can be helpful to ensure we are able to collect a sample once they are here. -If your pet is being seen for diarrhea, it is often helpful to bring a fresh stool sample. -Some pets may require sedation for certain procedures, please make sure your pet is unfed if he/she routinely required sedation. -Certain specialized blood testing such as ACTH and thyroid testing require that blood draws be done at specific times post medication. If you have any questions regarding what time to give medications prior to your appointment, please do not hesitate to call us. -If your pet is being dropped off for the day, please make sure you bring any medications you pet may need throughout the course of the day, especially drugs such as insulin.